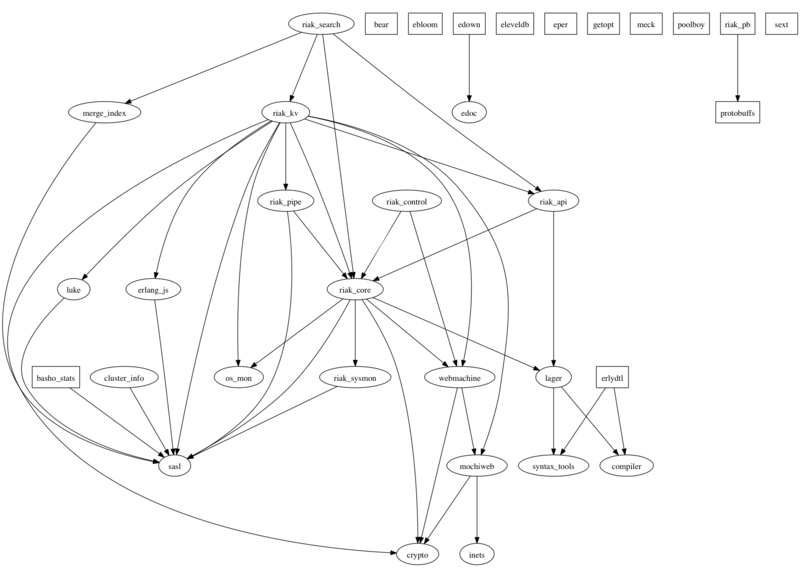 Quick escript to generate a visualization of app dependencies in Erlang/OTP. %%% 'A -> B' means 'A depends on B'. %%% This script depends on graphviz being present on the system. io:format("~s",[os:cmd("dot app-deps.dot -Tpng -o app-deps.png")]).